PCE has been the Columbia Daily Tribune’s contractor of choice since completing the Tribune newsroom and administrative building in 1972. 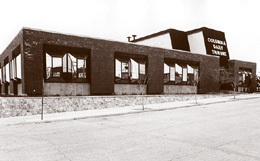 In 1987, PCE completed a 45,000 square foot facility to house the press and finishing departments. Thirty years later, the relationship between PCE and the Tribune is going strong.